It’s been a huge week for ECU Joondalup skipper Ryan Lowry. The defender was outstanding in the Jacks 3-0 win at Bayswater City, earning him the Credentia Construction Man of the Match, and on Wednesday he starred in the WA State side against Perth Glory. Lowry was outstanding at Bayswater and he said it’s satisfying to see where the club is heading and he’s happy to be a part of it. “This is a result of all the hard work for three years with Dale as coach, and we’re all hoping we can crack that top four spot this year,” he said. Assistant Coach David Tough said skipper Lowry has led by example on the pitch, and the club are delighted to have signed him for next season. 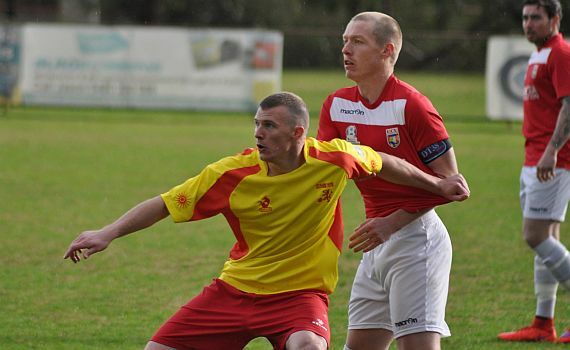 “Paddy has been outstanding this season and showed against Bayswater and in the state game against the Glory he can play at that next level,” Tough said. “He’s a quiet lad, but he lets his football do the talking. Dale, Steven and I have been delighted the way Ryan has led the side this season and he has been part of a defence that has kept eight clean sheets in the last ten games.